Beautiful, relaxed music to ease the stress of essays and revision. 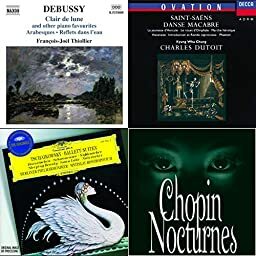 Kyung Wha Chung, Royal Philharmonic Orchestra & Charles Dutoit - Saint-Saëns: Danse Macabre; Phaéton; Havanaise etc. Reinhold Friedrich - Classic Moods - Albinoni, T.G. / Handel, G.F. / Marcello, A. / Vivaldi, A. / Bach, J.S. / Mozart, W.A. / Beethoven, L. Van / Haydn, F.J.